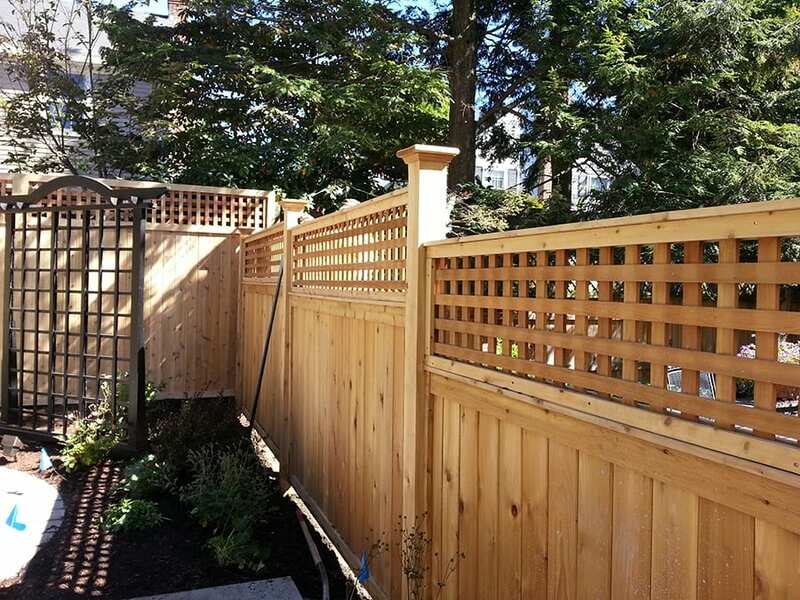 Our “GOOD NEIGHBOR” board and lattice panels are designed using 4′ of Red Cedar Tongue & Groove Boards with 2′ of Diagonal Red Cedar Lattice. 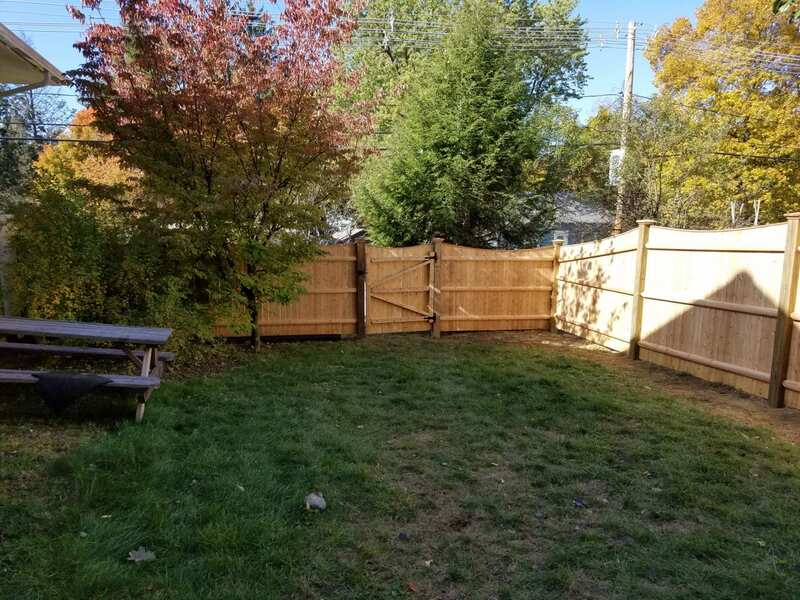 The advantage to the “Good Neighbor” panels is that they look the same from both sides eliminating a “good side” or a “bad side” decision that often accompanies the purchase of a more traditional Stockade Fence. Paxton Solid Cedar Panels are board panels that are straight across on the top. 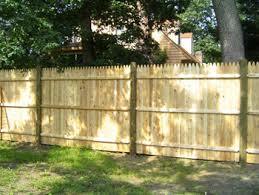 For the tops of the posts you can either have them gothic topped, beveled topped or left plain and add a pyramid cap. Princeton Solid Cedar Panels are scalloped board panels. You can either have them gothic topped, beveled topped or plain with pyramid caps. 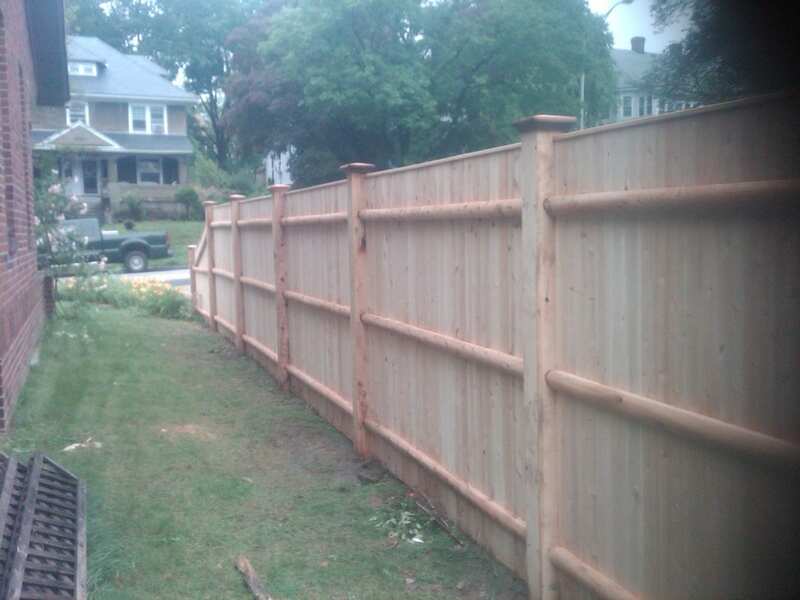 Stockade panels are made up of pointed pickets nailed to 2″ x 3″ cedar backer rails. 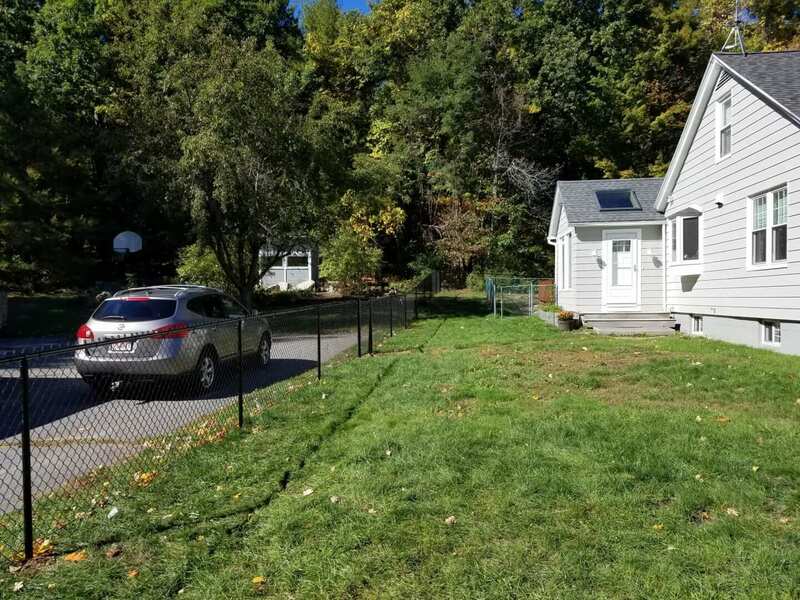 Sweeps and transition panels can be fabricated to dress off the fence line. Gates can be fabricated to match the panels. Decorative wood finials are available for posts.